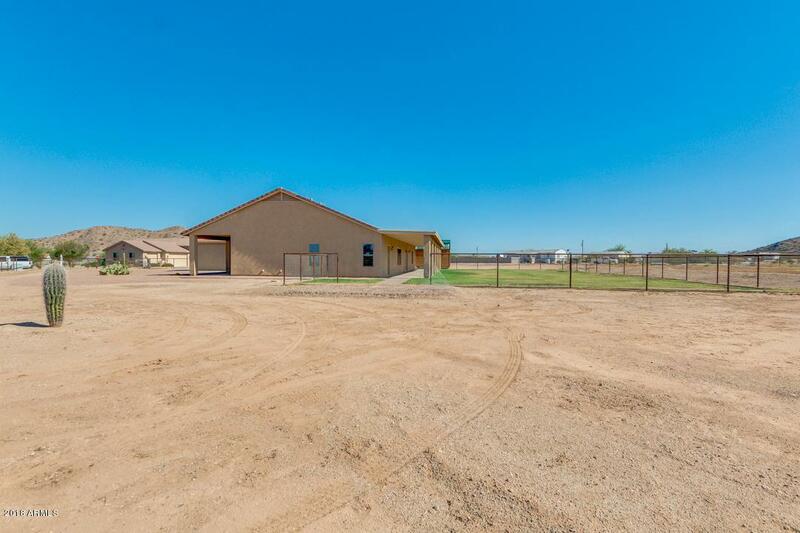 Amazing opportunity on 2 acres of Horse Property in Queen Creek and fully fenced! 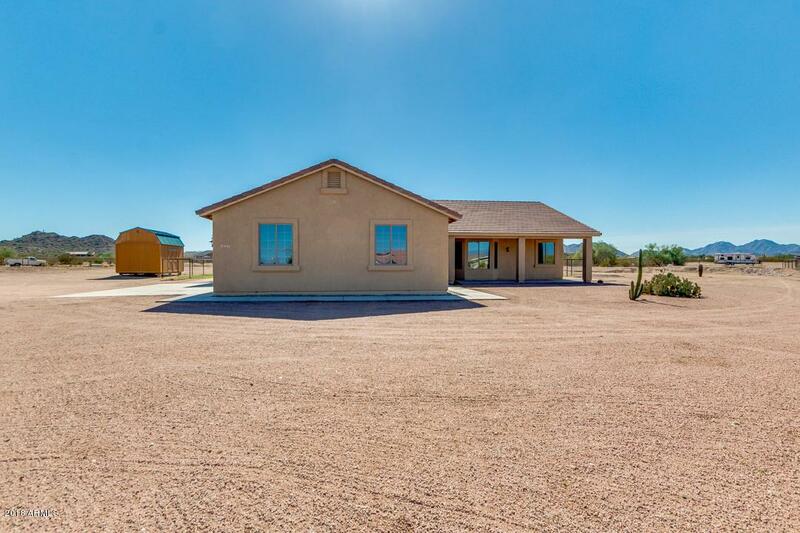 This 4 bedroom, 2 bathroom custom home features a split floor plan with oversized secondary bedrooms. All new neutral paint throughout, tile throughout kitchen and great room with new wood flooring and knotty alder doors and trim in the remaining rooms. 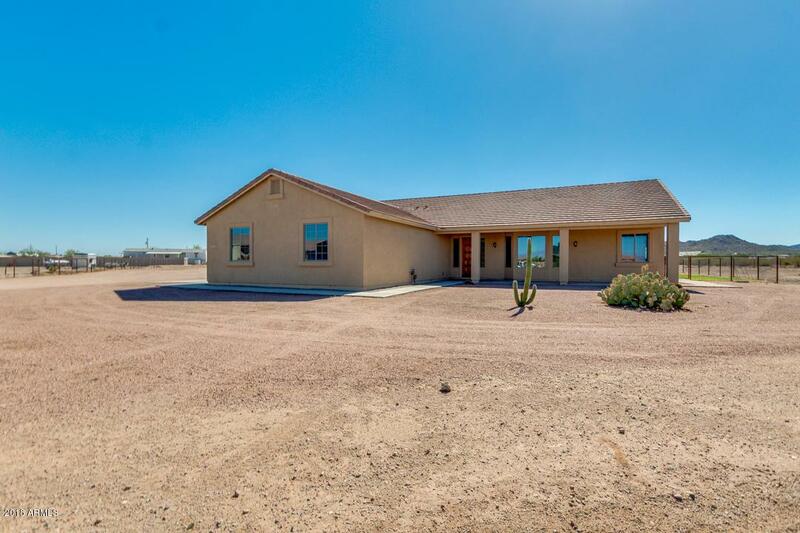 Large kitchen with tons of cabinet space, stainless steel appliances, granite countertops and large island. 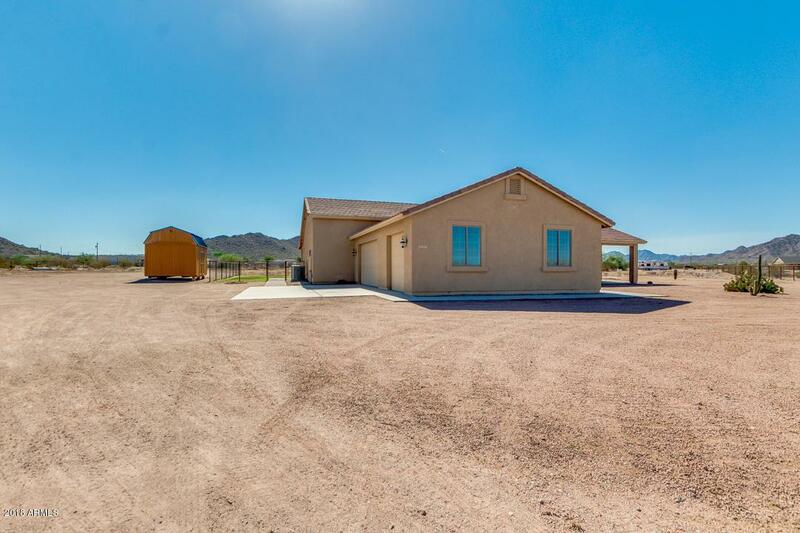 Home offers extended 3 car garage, large storage shed and full length patio prewired with ceiling fans - grass in the fenced in backyard with mountain views. Don't miss out on this great opportunity in highly sought after location with no HOA!